Maya Vargas has been a proactive Assistant Manager at a Value Shop chain store for some time and the “higher-ups” are highly impressed with the improvements she has made at her store. Unfortunately, because her highest level of education is a GED, they bring in someone else to be the manager. This all happens around her birthday and her best friend Joan, who is also her co-worker, has Maya over to celebrate. At the house is Maya’s godson/Joan’s son Dilly who overhears what happened at work. Maya gets a job interview at a big company called Franklin & Clarke for a consulting job. She meets with the CEO Anderson Clarke and is taken back when he goes over her credentials as well as her social media prescience. She is shocked to see that she has a Harvard degree with years in a variety of groups and characters over the years which explains why she was headhunted. Anderson has his daughter Zoe come in to meet Maya and but there is a professional tension between the two. When she returns to her old store, the new manager annoys her to point of quitting and she accepts the new job. She does feel bad about it but she needs some change in her life. SECOND ACT is directed by Peter Segal. He has a ton of Rom-Coms on his résumé like TOMMY BOY and 50 FIRST DATES. He does comedy well and this is a little different because, yes, there is a relationship in here but its not romantic. It is a woman with her good friends and she is trying to better herself. The video is a 1080p AVC presentation that has a very clean look to it. The clearly digitally captured movie has a lot of bright images from the clothing to the settings around NYC. The details in pretty much every shot can be easily seen in facial lines, the cityscape, and random objects. When the characters are in R&D, you can make out all of the writing on the bottles in the background but still have some nice depth in the shot. Shadows and blacks are deep with some solid contrasting. Skin tones are warm and natural. The audio is a lossless DTS-HD Master Audio 5.1 mix. The music is excellent and well layered in with the rest of the effects/dialogue. The surround audio such as ambient noise is consistent for a fuller sound. The Value Shop, restaurants, and other crowded places do this. The dialogue-heavy movie is well prioritized with the rest of the audio. 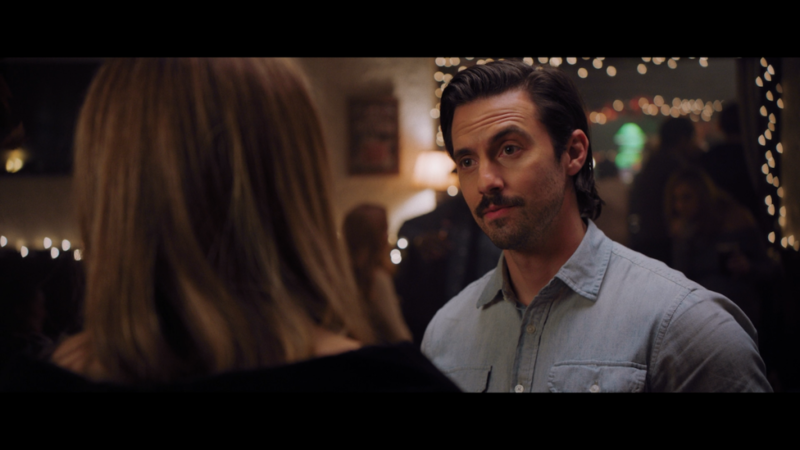 -Connecting with Milo Ventimiglia: This is with Jennifer Lopez (J-Lo) and Milo Ventimiglia discussing each other. 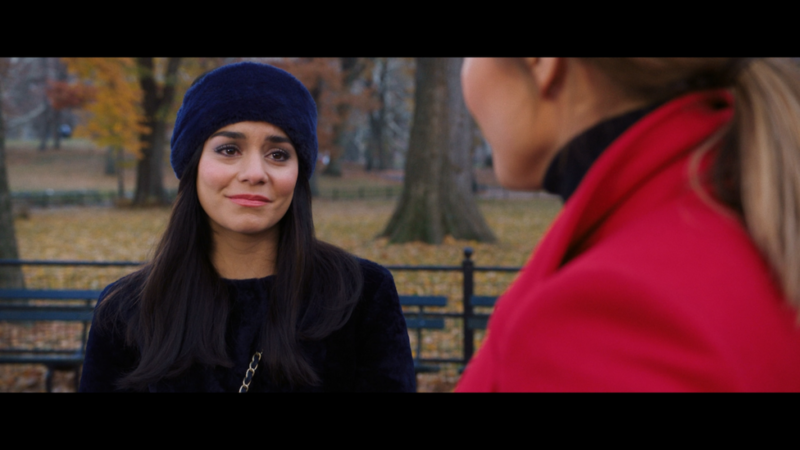 -The Empowering Women of SECOND ACT: This looks at the women in the film and their talents. -Friendship On and Off Screen: This is a brief look at the friendship of J-Lo and Leah Remini. -Working with the Ones You Love: This is a short series of clips from the movie. I know that I always say that comedy is subjective so let me say this: there are a lot of comical moments here and it has to do with the chemistry between the characters. There isn’t anything like slapstick comedy but just moments and lines that make things enjoyable. The Blu-ray has an excellent video and audio transfer. It is to be expected from Universal. The extras are incredibly light and short so that is a bit of a letdown. Either way, I can recommend checking out the movie and pick it up if you’re a fan.